President Donald Trump asked that a cognitive test be included as part of his first physical exam. 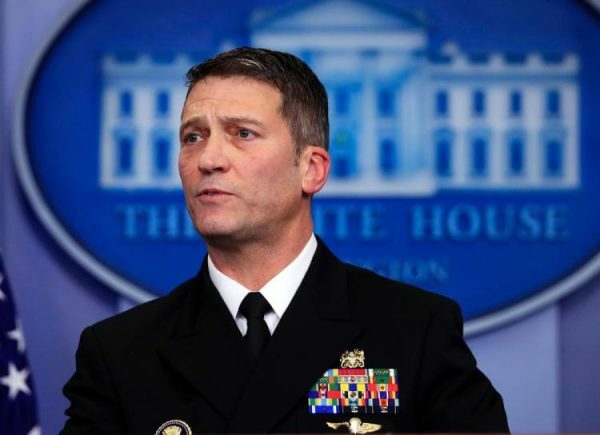 Trump’s physician — Navy doctor Ronny Jackson — says the president achieved a perfect score on the test, which was included in last Friday’s medical checkup. Jackson says Trump’s 30 out of 30 score means there’s no indication that Trump has any cognitive issues. President Donald Trump’s overall health “is excellent” and he did “exceedingly well” on cognitive screening. Jackson reports that the 6-foot-3 president weighed in at 239 pounds — three pounds heavier than he was in September 2016. Trump’s blood pressure was 122 over 74, and his total cholesterol was 223, which is higher than recommended. Trump was 70 when he took office, making him the oldest person ever elected to the nation’s highest office. Jackson says Trump is healthy and should remain so for the remainder of his presidency. Trump’s mental fitness have been raised following comments attributed to some of his close advisers in a new book, and his recent slurring of words on national TV. Presidents aren’t required to get a checkup, but modern presidents do so regularly and release a doctor’s report on the findings.